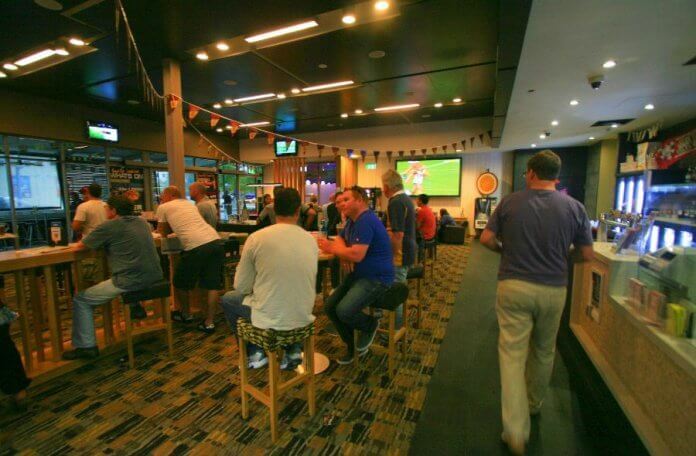 TAB - Tatts merger: what does it mean for punters? 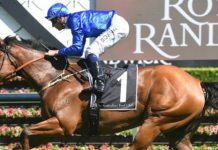 Home Horse Racing TAB – Tatts merger: what does it mean for punters? The big merger has cleared the competition tribunal and will go ahead. 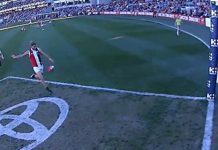 What's the impact on the punter? 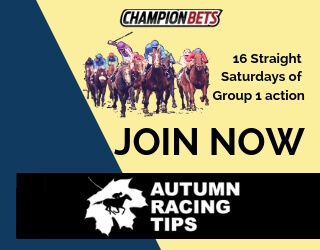 The Australian Competition Tribunal this week approved the proposed merger between industry giants Tabcorp and Tatts Group, clearing the way for their long-awaited marriage to finally go ahead. The tribunal has the power to block corporate mergers that aren’t in the best interests of the broader Australian market, so this week’s news is a significant hurdle cleared. There were some large industry objectors at the hearings: most notably Racing Victoria, who argued that the coming together of the two businesses would have an adverse impact on the competitive process when their totalisator rights are renewed. 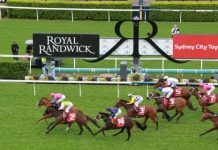 RV claimed that as TAB and Tatts were the two businesses that traditionally bid for the tote rights, their merger meant that there would be no competition for the rights. The tribunal ultimately rejected this argument. But most importantly… what are the impacts of the merger for punters? This has led to immediate speculation that pools will be merged into a national tote, providing deeper pools. 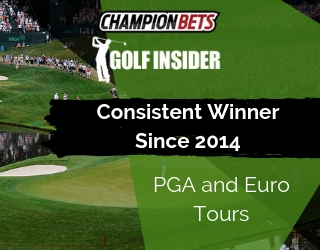 Both companies immediately flagged better products and returns to punters. 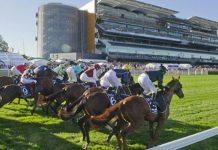 “It gives us a national footprint and create a pathway to larger wagering pools,” said Tabcorp Chairman Paula Dwyer when the merger was announced. Tatts Chairman Harry Boon echoed those sentiments. 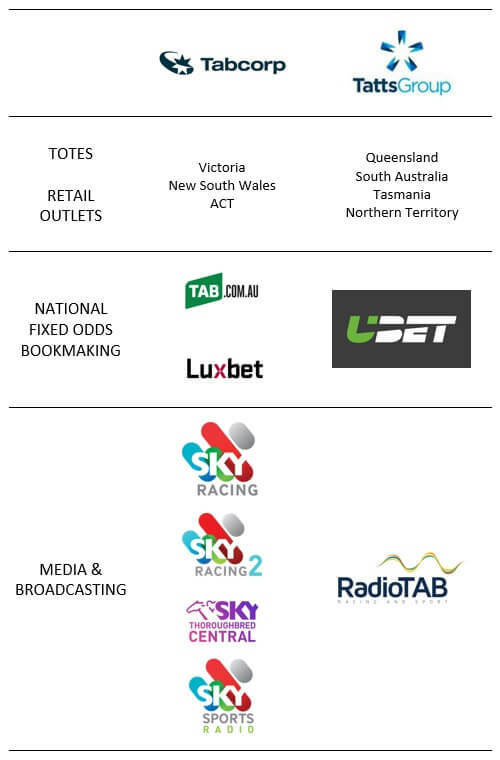 Whilst there’s been little official indication at this stage regarding any potential merger of these brands, it’s been widely speculated that the UBET brand will be phased out, which suggests that the TAB brand will effectively go national. This would be in line with some suggestions that Tatts’ rollout of the UBET brand has not been as successful as was hoped. 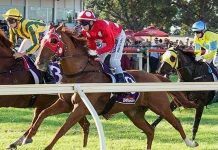 Luxbet is licensed in the Northern Territory, which has a lower cost of doing business for wagering operators and hence a higher margin. It stands to reason that the combined body may want to retain a proportion of its business under this model, and hence may well retain the premium Luxbet brand.